Join us for the Banjo Song Collection this Summer! Starting June 10th, pick a session with class twice a week for three weeks, including a bonus craft time once each week! Or, join us for our traditional once a week class for 6 weeks. Either way, you'll be singing, moving, and jamming all summer with the music in our Banjo collection! Register today! Or, try a free demo class anytime! 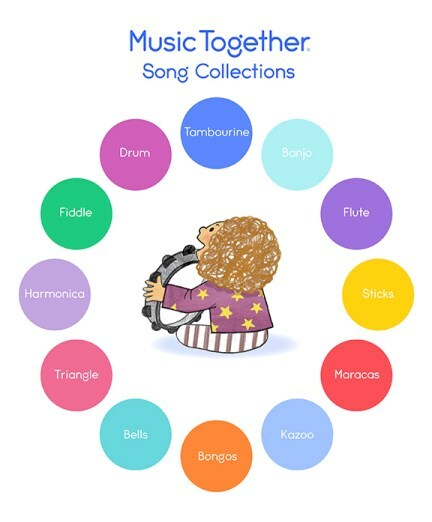 Join us for our Tambourine Song Collection this Spring! Sing, Dance, Play, and Learn with us during our 9-week Spring semester! Our 45-minute classes include songs, rhythmic rhymes, movement, and instrument play. These activities are presented as informal, non-performance-oriented musical experiences--developmentally appropriate for children and easy for parents and caregivers--regardless of their own musical ability. One CD, a NEW beautifully illustrated, full-color songbook, access to the Family Music Zone--a special site full of videos, at-home music making ideas, articles and a digital download of the semester's song collection, and a Family Resource Guide are all included in semester tuition! 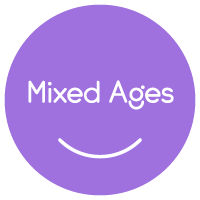 Tuition for our mixed-age classes is $160 for the first child. Siblings 9-months and younger are FREE! The second mobile child is $80, and the third child is free. There is a one-time $10 new family registration fee and a $5 returning family registration fee. Refer a friend who registers for the semester and you'll both receive $15 cash back! Payment plans are available upon request. And, a limited number of scholarships are available, as well. Visit our Scholarships page or contact Erin at 316-461-1385 to learn more. We're offering a Music Together® Generations class in partnership with the sisters at the Adorers of the Blood of Christ again this Spring, and we're SO excited! Watch the video below for a sneak peek into this magical experience! Take a Generations class as a second weekly class for 50% off! Take a look at our class schedule to find one that works for you! And, if you don't see anything that works for you, contact us and let us know what class times you'd like to see!